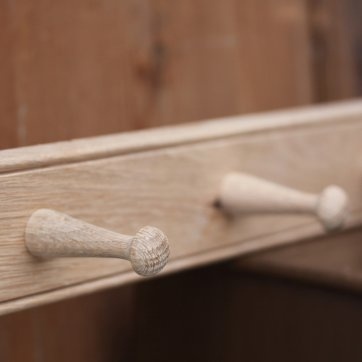 A beautifully crafted oak hook rail, perfect for hats and coats. 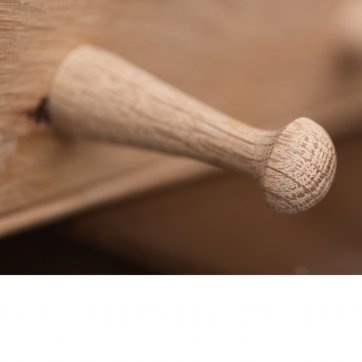 Four pegs on a piece of solid oak with a groove top and bottom. This item is finished in white with the oak grain showing.